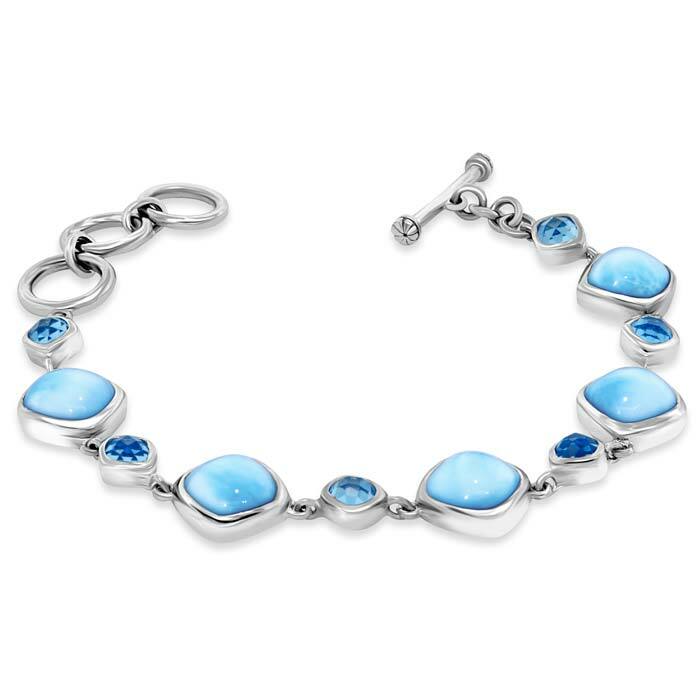 Chic and classic, our Atlantic Cushion Collection bracelet shines with cushion-cut larimar gemstones and sparkling blue topaz. You can go anywhere with this! 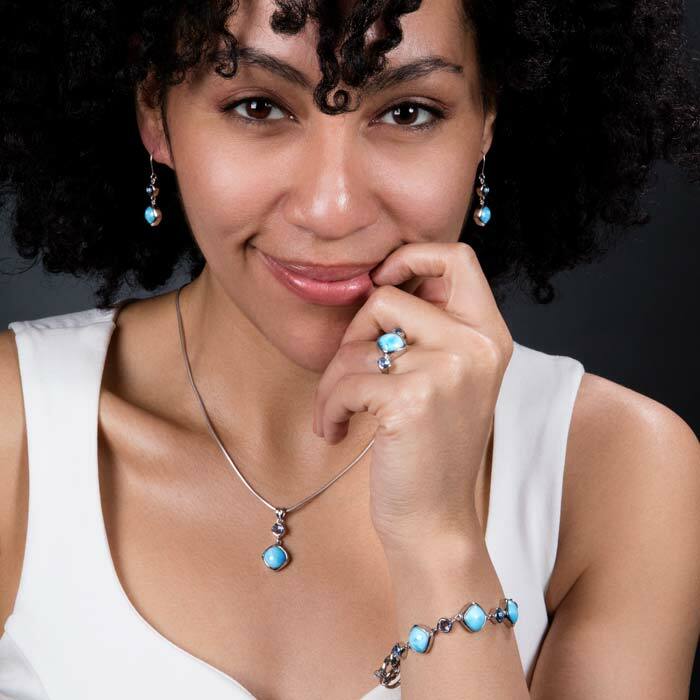 Product Details: Five 10mm larimar gemstones with sterling silver and blue spinel. 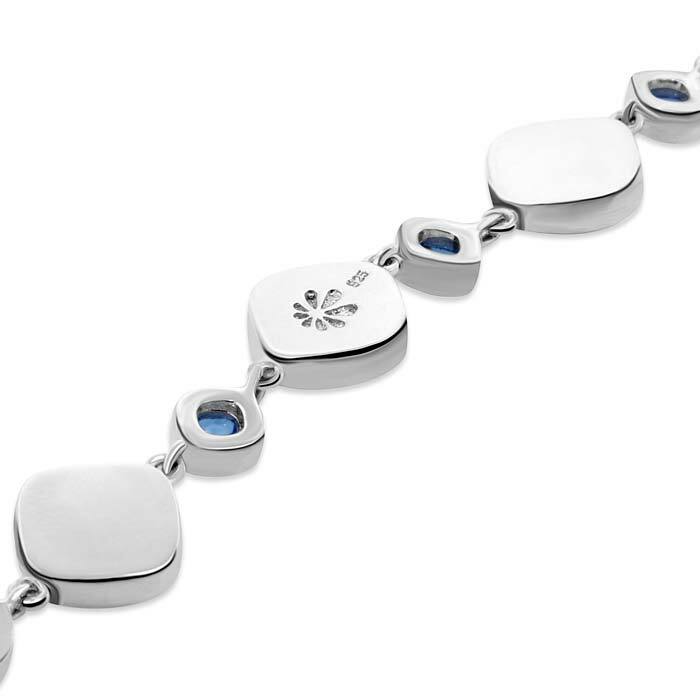 The bracelet can adjust from 6" to 7".